Marble benchtops such as Caesarstone benchtops can make a great statement piece to any room, when you opt for the right look and feel. Whether it’s your dining room, kitchen, bathroom or for commercial purposes, they allow for a glamorous take that’s also easy to maintain – offering a lifetime of use that makes them an accessory and an essential. However, there are a few different designs to choose from and what you decide on ultimately depends on the room’s colour scheme, preference and budget. Fortunately, we’ve designed our process to make choosing marble kitchen benchtops easy. While Caesarstone marble and similar materials are stain, scratch and heat resistant, they typically cannot be used as splashbacks in existing kitchens. Additionally, many of these brands do not provide any form of warranty coverage for cracks, which can be common, due to their weight. They can crack within as little as 12 months, leaving you with a ruined countertop that isn’t covered by any form of protection. Fortunately, there is an alternative. QuartzStone12’s weight has been carefully engineered to guard against cracking. Manufactured to be as little as 40 percent of the weight of a standard Caesarstone benchtop, it’s the perfect fit for all kitchens. 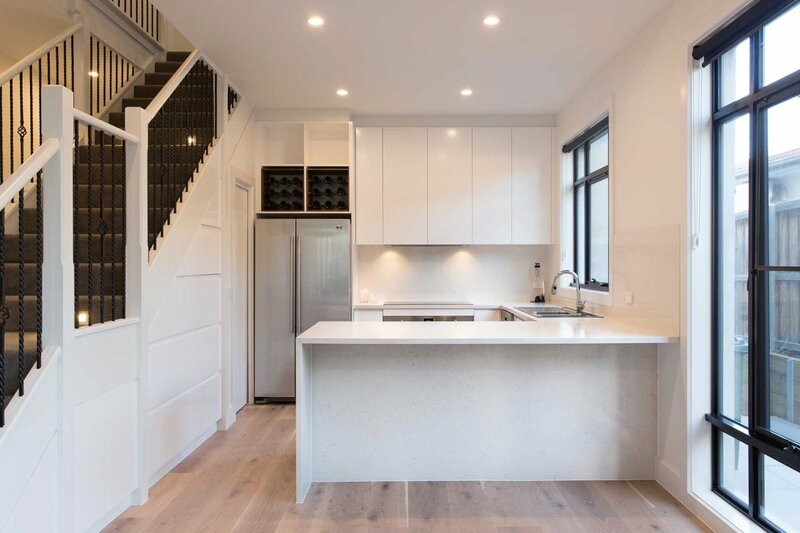 For kitchens, splashbacks, bathrooms and more, QuartzStone12 considered a more modern alternative to granite and marble benchtops in Melbourne. A versatile material, it can be installed in almost any interior space as well as outdoors and in business establishments. If you are renovating your kitchen and are offered any other brand made with a thicker material, we encourage you to check out alternatives. Avoiding doing any research and opting for a durable, long-lasting solution means you’re likely to blow your budget on cabinet makers, templates and substrates – wasting your resources before the job is completed. Read the warranty terms carefully before you purchase as most don’t provide cover for damage caused by natural sunlight which enters through your window, and – most importantly – do not cover cracking that occurs after the installation. 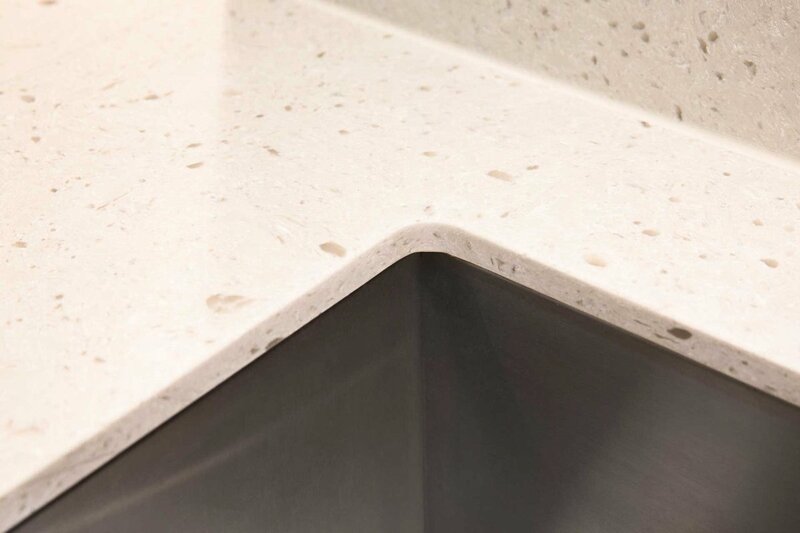 (QuartzStone12) 12MM Thick: These reconstituted benchtops are made from 93.5 – 95 percent QuartzStone, mixed with a special formula that can withstand UV, chemicals and resistance compared to other manufacturers. This man-made design is often cheaper than natural stone and is recommended for all applications, including wall cladding and splashbacks. Simply renovate your kitchen benchtop with QuartzStone12 and have it completed with our marble benchtop installer’s same-day guarantee for Melbourne. Contact us now on (03) 9791 3720 for a no-obligation quote.